EUROTOX funds Basic and Specialised Toxicology courses in collaboration with Member Societies to promote toxicology training in European countries at minimal cost. Each course is limited to 35-40 students. Preference will be given to participants from countries where there is little or no formal education in toxicology. Good working knowledge of English is important as this is the language of all EUROTOX courses. Each course is residential and held over 5 consecutive days and consists of lectures, problem solving/discussion sessions in small groups and plenary meetings. The course programme is developed jointly by the host society and the EUROTOX Sub-committee on education. There is a written examination at the end of each course and those participants who pass the exam will be given a certificate of successful completion of the course. Other participants will be given a certificate of attendance. 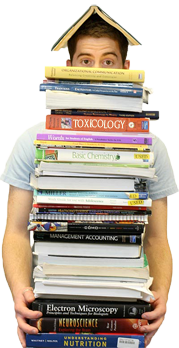 For the Basic Toxicology courses a life science degree is required but preliminary experience or significant background knowledge of toxicology are not essential. Motivation to learn/ evidence of an interest in the subject, or a professional need are key to applicant selection. Successful completion of the course may count towards the theoretical training for registration as a toxicologist (modules B0 and B6, see Guidelines for Registration 2016 for further details). The Specialised Toxicology course provides more in-depth knowledge in specific areas of toxicology. It is aimed at graduates who possess a working-level knowledge in toxicology and have gained some experience in its application (e.g. through occupation or studying for a PhD). Previous attendance of the Basic Course is recommended but not essential. Local organizers are encouraged to propose specialised courses which contribute to the theoretical training for registration as a toxicologist (for details of modules see Guidelines for Registration 2016).